NeonHeads together with our 4in1ARTISTS team have visited and performed in some breathtaking venues. We would like to share with you our favorite from different countries – starting with the beautiful Prague – where history meets the modern. If you are looking for a venue that has modern and bar- like atmosphere, Cloud 9 Sky Bar & Lounge may be just what you want. A spectacular view over Prague is a must in this beautiful purple colored venue.Not only you can book this venue for your more relaxed event (perhaps a lovely gala event?) but Cloud 9 offers you a live music or a DJ to go with the atmosphere of this bar&lounge. Check out their event calendar to find out, when they can hold your event. An unforgettable venue for an unforgettable event. Furthermore, if you want to make sure the party you are already planning in your head will be one-of-its-kind, book NeonHeads and combine business with art for the best result. Sacre Coeur is an unique venue that can hold any of your events, both personal and professional. From weddings to decadent parties. 4in1ARTISTS from NeonHeads had performed a stunning choreography inspired by the global phenomenon ‘Fifty Shades of Grey’ at a party of a luxurious magazine. Covered in dark purple, high ceilings and arty feeling, make this venue a perfect place for your next original event. 4. Who said that Old waste water treatment plant is not a great venue for a company promotion party or any kind of event you might have in mind. There is no limit when it comes to creativity and choosing original and interesting venues. We have truly enjoyed being part of an event that captured cult movies like Flashdance. Our 4in1ARTISTS helped to transform what seems to be a quite and forgotten venue into a space filled with rhythm and joy. One can’t not like the beautiful neorenaissance Žofín Palace. If you wish to have event in a venue that breathes history, has a glamour needed for high level events complemented by a very professional team – NKL Žofín Agency, that will help you make your event exceptional and unforgettable. In this spectacular location your guest will have an opportunity to enjoy a breathtaking panoramic view over historical Prague. Combine the modern with historical for a magnificent effect, that will make your event the one to remember. 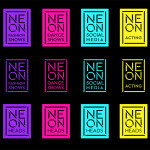 NeonHeads and 4in1ARTISTS had a chance to be part of such an event- event to remember. 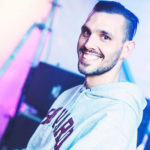 Do you want to know what venues we like in Austria? Keep an eye on our social media and be among the first ones to find out.